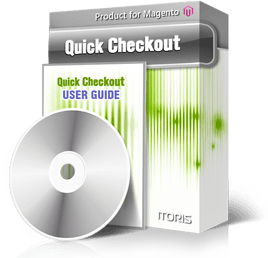 Enable the one page checkout for your customers using the Quick Checkout module. All information needed for checkout can be filled in on the same page without steps and reloads. The page is divided into blocks: the product list to be ordered, the billing address, shipping address, shipping mehods, and payment methods. Customer can checkout as guest or create an account directly on checkout. If customer has an account already they can log in directly on the same page. Customer can verify the products' details, custom options, prices on checkout, add or subtract quantities to products. Fully responsive layout - great for mobile and desktop themes. Once billing/shipping address changed the module loads shipping and payment methods via AJAX. Customer selects the carrier and fills in the payment details, then clicks "Place Order". If customer has a coupon they can be applied on the same page. To prevent frauds you can enable Captcha on guest checkout. You can also enable Terms and Conditions that will appear in a popup before placing the order.